I have made several styles of pizza. So many kinds I just can't count. I just love them all. Pizza's of all kinds are really one of my favorite foods. You can do so much to change the toppings the skies the limit. 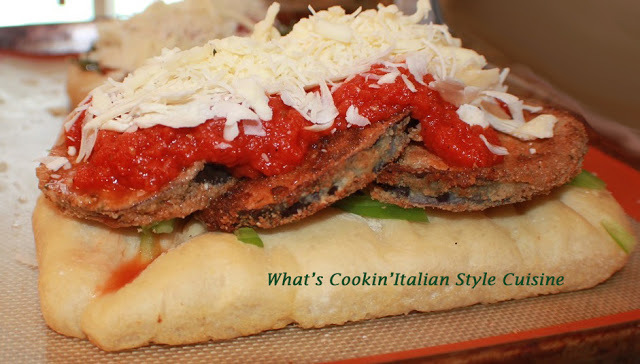 I love Eggplant Parmesan so this one really made a big hit with everyone in my family that also loves it. If you love Eggplant this will be a new favorite pizza for you too. This pizza will be a whole meal, reminds me of a sub but opened faced. Spread pizza dough on a cookie sheet or pizza round pan. Rise until doubled in size. Cook the dough until light brown. Cool. Place cooked eggplant slices on top, generously sprinkle with parmesan cheese. 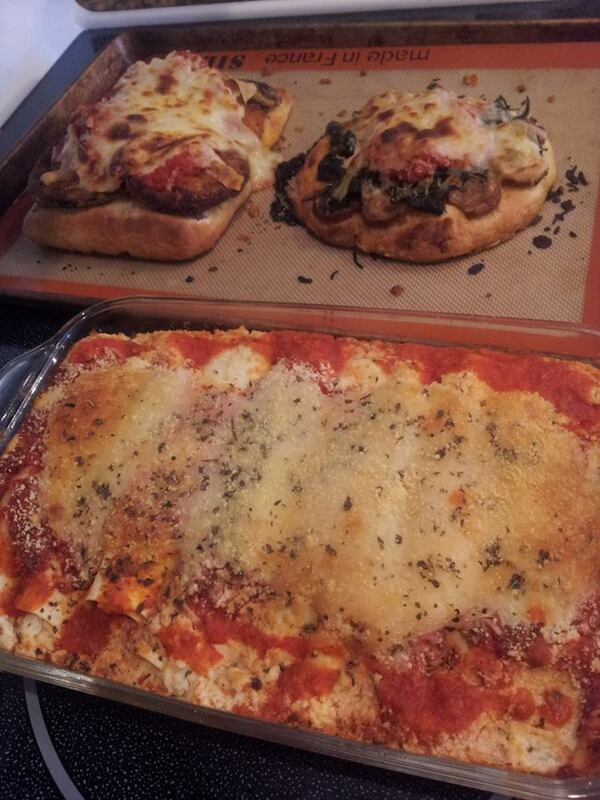 Spread with Marinara sauce (homemade or store bought) top with shredded mozzarella, drizzle with olive oil and bake at 400 degree hot oven until cheese is browned and bubbly.